Group accommodation StrooDrie is located in Dwingeloo, the cosy village in Drenthe that has been selected as the greenest village in Europe in 2012. According to the judges, Dwingeloo is ‘one of the best kept rustic villages in the North of the Netherlands’, and the surroundings of the village are characterised by ‘a great variety of nice landscapes with valuable nature, gorgeous estates, and many recreational facilities for inhabitants and tourists.’ In short: Dwingeloo is certainly worth the visit. StrooDrie can be found just a little bit outside of the village and offers immediate access to the beautiful National Park Dwingelderveld. This is the largest wet moorland of Europe, and it is the home of many rare plants and animals. This makes it a lovely area for a walk, a bicycle tour or even for horseback riding. You can also visit the website of National Park Dwingelderveld. The natural areas Het Drents-Friese Wold and Holtingerzand are all connected to the National Park Dwingelderveld. All these areas are only accessible to hikers, cyclists, and riders, but also have special wheelchair paths with stops. The Blue Lake is also a great place for a swim or some fun, this is a gorgeous natural area near Dwingeloo. Indoor pools can be found in Meppel Bad Hesselingen and there’s swimming and sauna paradise “de Bonte Wever” in Assen. To give you a bit of an impression regarding what can be seen and done in and around group accommodation StrooDrie, we have made a list of some highlights. Use the buttons to find out more about these highlights. 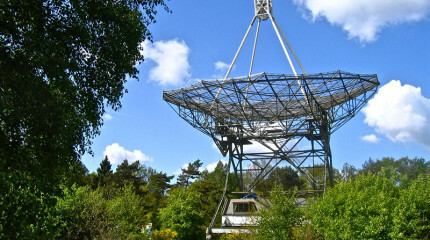 Astron is the beating heart of the Dutch radio astronomy. 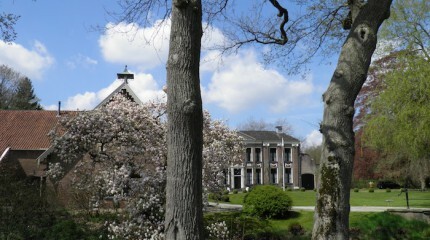 Huize Oldengaerde is one of the four manors that are or used to be in the Dwingeloo area. This is now owned by Het Drentse Landschap.